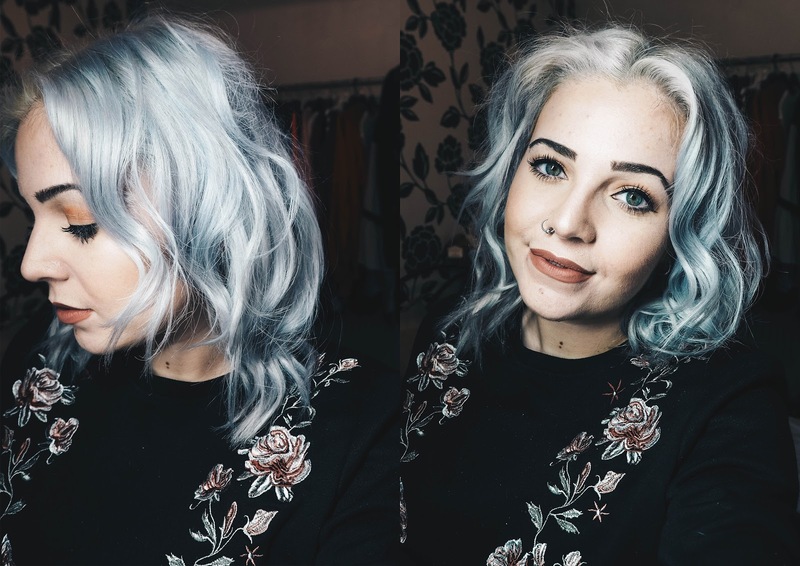 For years, I have been using hair straighteners to achieve curls and waves in my hair. I've used many hair tongs and curlers over the years, but none have really worked for me. Curls only really last in my hair if I over-saturate it in hairspray, so I don't tend to ever reach for my other wands because the curls they achieve just seem to drop within an hour or two. My hair is incredibly hard to maintain a curl in, but with straighteners I find that curls or waves seem to last. However, this is usually only if I set the heat setting to its highest at 230°C . Not that great for your hair when it's silver and already as dry as a bone. 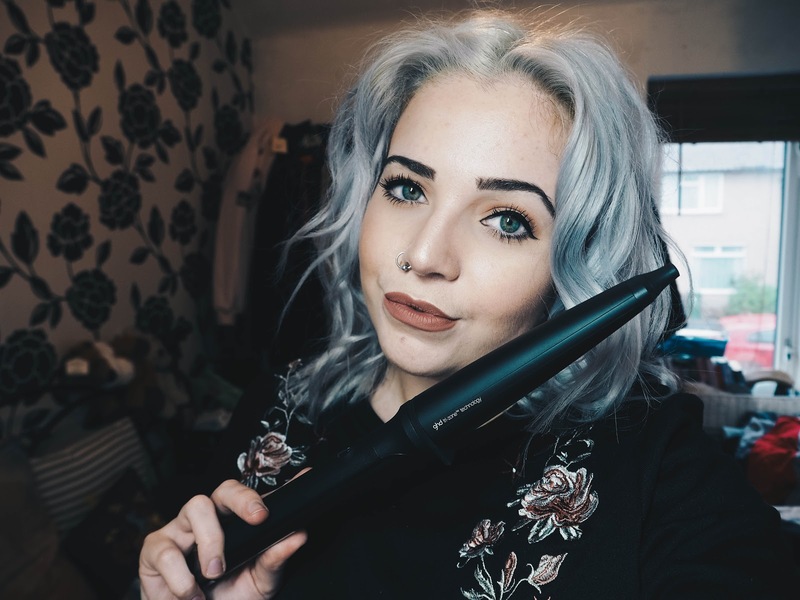 I have been trialling out the ghd Curve Creative Curl Wand over the last week or so and I am utterly converted; despite never having used any ghd products before! With a 28-23mm wand/barrel, I was excited to see what kind of curls the wand would achieve on my hair. 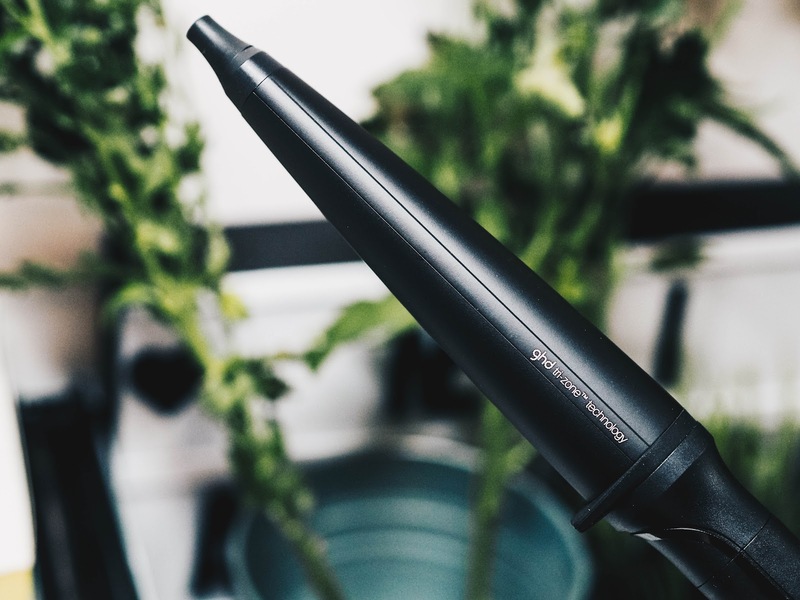 It reaches around 185°C, which is actually all you need in order to create the perfect curl. For years, I was thinking I need to use a scorching heat to achieve the look I wanted, but it's actually just down to buying and using the right product. 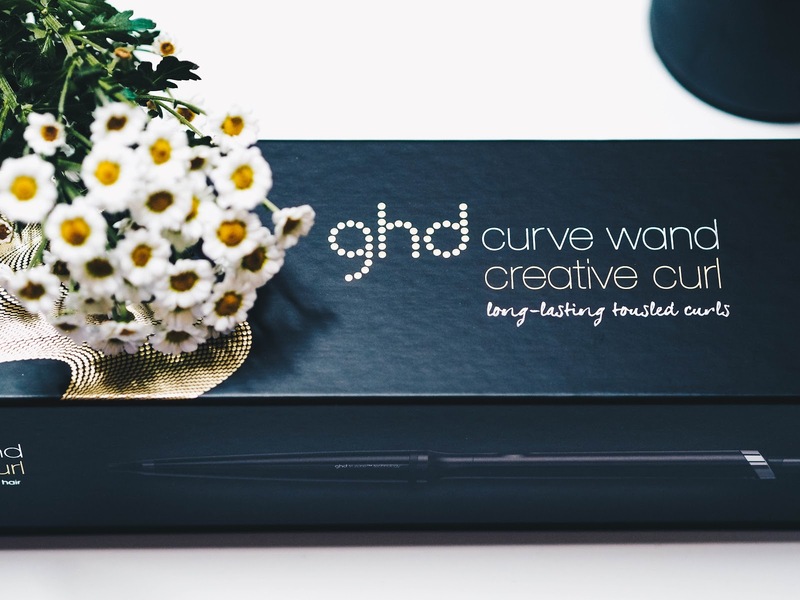 This ghd Curve Creative Curl Wand retails at £120.00, directly from the ghd website. Admittedly, this is quite a hefty price tag for a wand; considering there are so many cheap alternatives that you can buy instead. However, I thought I would take them to the test in a first impressions video to see whether they are really worth the price. Here is my final result and I am so pleased with it. The curls look completely different to what they usually look like when I use hair straighteners. They are wavy, bouncy and most importantly; sleek and natural looking. The tapered wand has made my hair achieve voluminous waves and I couldn't be happier! I applied a little bit of hairspray to lock them in place and I'm pleased to report back that the waves stayed in all day and night... even after a nap! For £120, it's an investment in my opinion, but one that is completely worth the money. I'm thankful for being able to achieve waves in my hair without drying out the ends from using an overly hot hair tool. 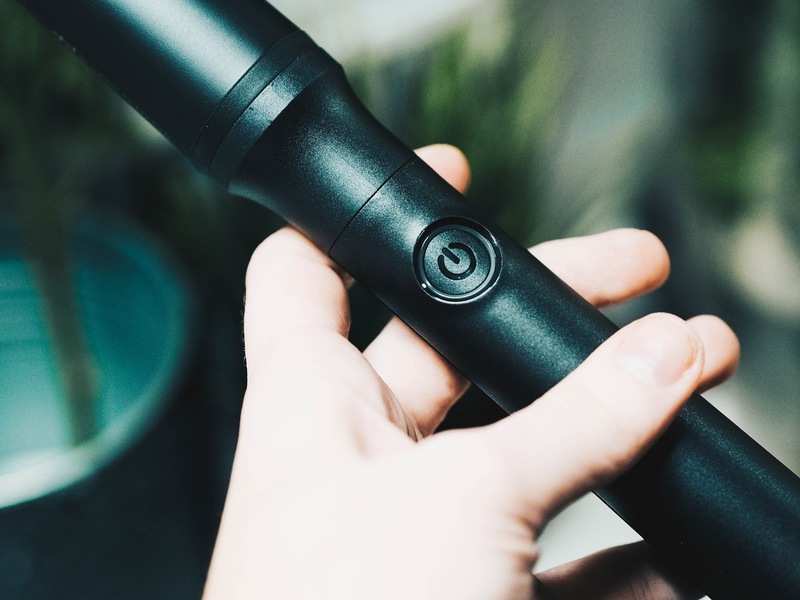 If you're shopping around for a new wand and looking for waves to last for a long time without dropping, definitely check out the ghd products. The Curve Creative Wand is recommended for people with shorter hair and gives beach wave results. However, there are several different wand types available, depending on your hair type and what result you are looking for. Disclaimer: PR sample. In collaboration with ghd. All words, opinions and photographs are my own. I love the look that has given your hair, It looks really natural. GHD is a great a brand. Cannot go wrong with GHD, can seemingly always rely on them, and for that reason, I've never considered the price tag too bad. Fab looking hair. My wife's old curly burnt a bit of her hair, so I'm gonna have to recommend this to her. Thanks! You can't go wrong with GHD's, I'd love these. Oh, and I have serious hair envy right now! You hair looks wonderful, great video as well. My daughter would probably love this - we just got her a standard curling wand. Oooh these look awesome - my eldest loves GHD's she would love these. I didn't know GHD did a curling wand ur hair looks stunning. i love how your curls turned out. also, i am absolutely in love with your hair colour! Wow! I love how your hair turn to a beautiful curled hair. Indeed a magical wand. You hair color suits well on you. I d love the GHD brand and this curling wand looks amazing! Can I just say THANK YOU! I've been wanting something to create curls and also a tousled look and this is exactly what I need. Huzzah! I am slyly going to slip this as a christmas wish list to my husband this year haha! I am sold by your post now! I've been thinking about buying a wand for ages. I love GHD products. They're always so well designed. The results of this wand look great on you! My hair fights against holding curls too so I think I need to check this out. Your curls look lovely and natural, and they really lasted didn't they! My hair is naturally curly but I use my ghd straighteners to curl the front on the rare occasion that I go out. This wand looks great! I usually find it a bit difficult to use these curlers, but you've done a great job with yours!